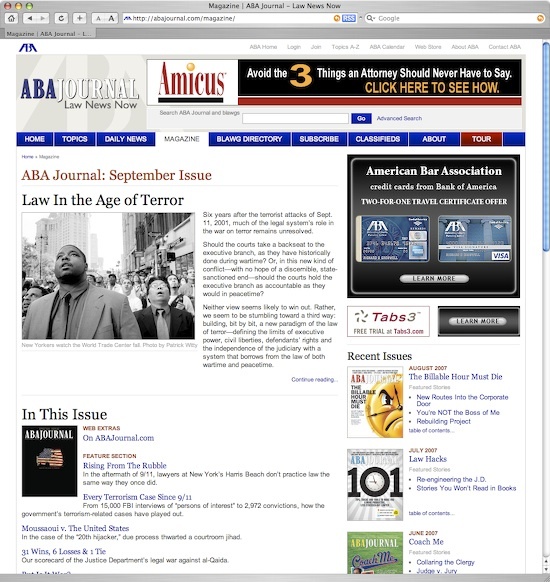 ABA Journal Website – News, Articles, Blawgs!!! Let me start our new month of blogging with a post on the great new ABA Journal Website. The site went live a few weeks ago, and includes articles from the magazine, updated daily news and a legal blog directory. The site is from ABA Journal Editor and Publisher Ed Adams, Fred Faulkner IV and the ABA Journal Web development and editorial team. If you have not checked the new ABA Journal Website out already, you definitely should! 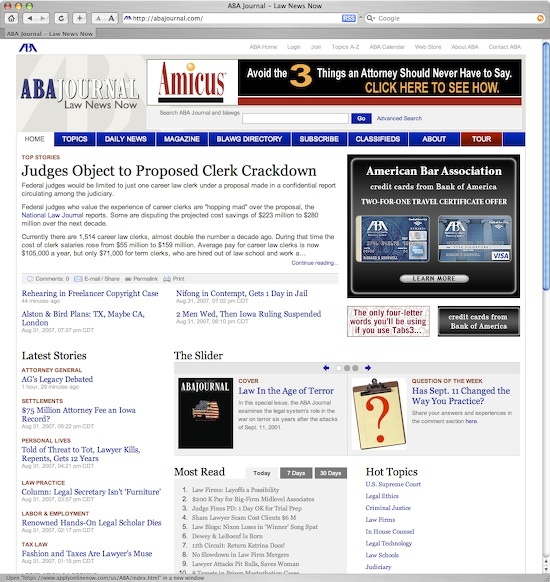 The new ABA Journal site brings a new focus on current legal news, which you can subscribe to by way of a RSS feed. The over look and feel is very clean and good looking, with a lot of focus on the user experience. 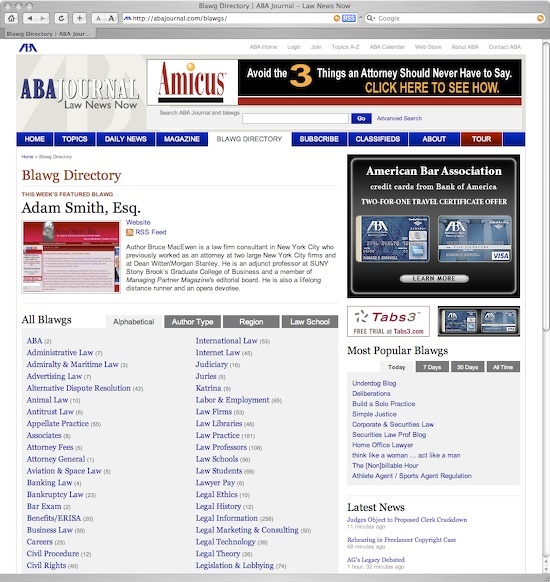 And there is the ABA blawg directory that categorizes over a thousand blogs. Very nicely done. Again, check out the site if you have not already. There is a great amount of information on the site of interest to lawyers and anyone interested in law.